Since starting college in Dublin I have been eating total rubbish constantly and as a result of this I have gained about 5lbs. Now 5lbs may not seem like much but considering I am only 5'2 any weight gain is very noticeable on my small frame. My goal is to lose these extra 5lbs and tone up and hopefully gain some extra energy in the process. In order to achieve this I have started horse riding and joined the gym. 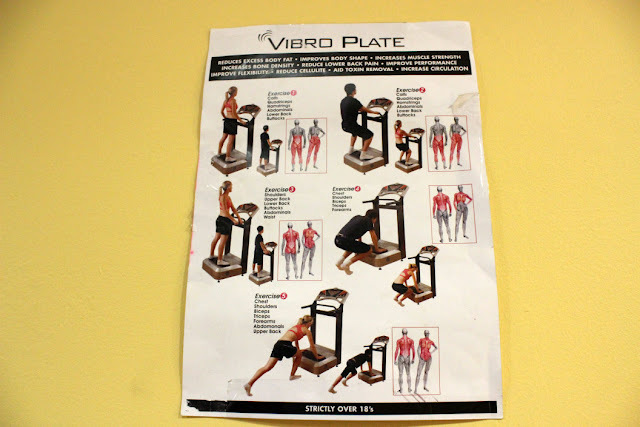 When I am home at the weekend I have also been using the Vibroplate aka Power Plates. So let me tell you a little bit about the Vibroplate, it's claims and then I will move onto my experiences with it. 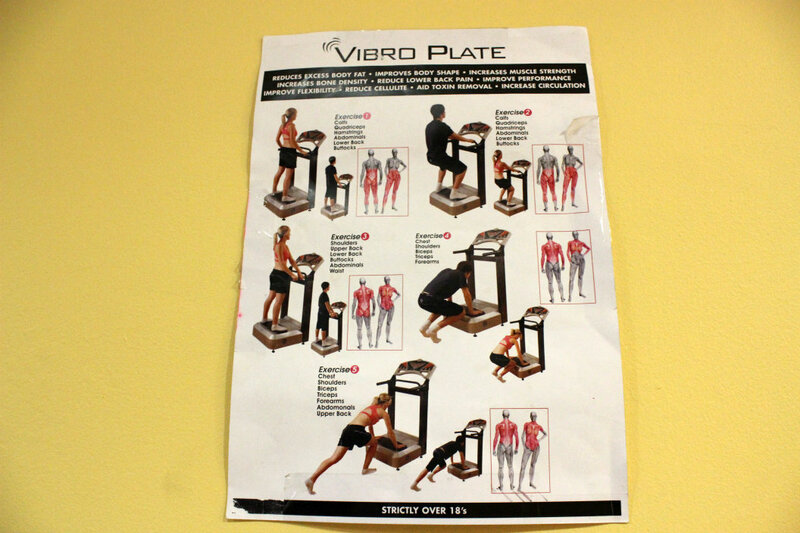 "The movement of the vibration plate stimulates the body's natural 'stretch reflex'. This is similar to the knee jerk reaction that occurs when the knee is tapped by a reflex hammer in a doctors office without thinking of it, your body responds with a strong involuntary muscle contraction. leading to your leg 'kicking' out. With the Vibroplate technology these strong muscle contractions can be repeated at a rapid rate. Due to the involuntary effect on muscle contraction, nearly 100% of the muscle fibers are recruited. Compare this with conventional training where there is only on average 40% muscle recruitment. This benefits the rehabilitation patient looking to add stability and strength to all muscles around their joints, to the athlete looking to maximize strength gains. The gentle rapid contractions allow the muscles to work as a pump introducing blood to even the smallest blood vessels. This leads to the ability of the body to carry off waste products much faster, leading to increased peripheral circulation"
You simply stand on the machine for 10minutes (It claims 10minutes is equivalent to 1 hour in the gym) and you can complete the different exercises as shown in the above picture. Personally I rather stand still and put it up the highest setting as I feel it does the most work on all aspects of my body. You can feel EVERYWHERE shake. It is a very funny sensation to begin with it, but is in no way uncomfortable. I have never had any side effects such as muscle pain from it and I do suffer from a bad back. My only negative is I find it a little boring just standing doing nothing for 10 minutes. 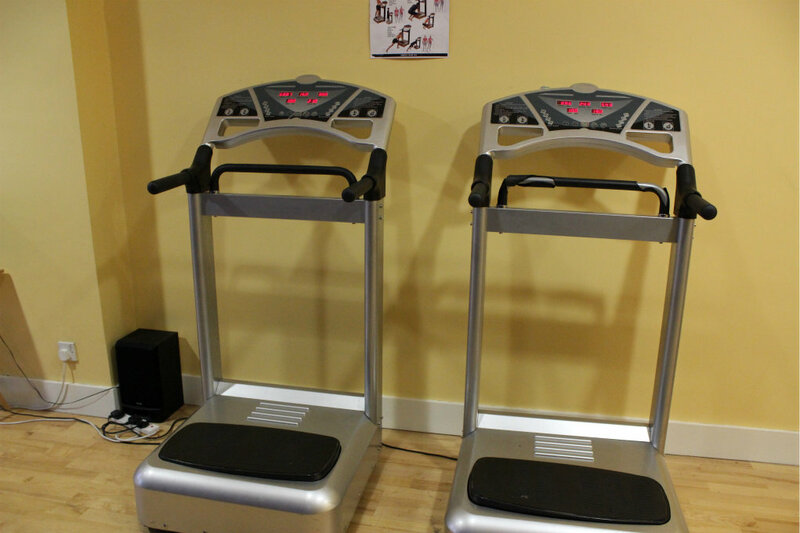 I have used this machine before holidays during the summer and definitely found it beneficial. 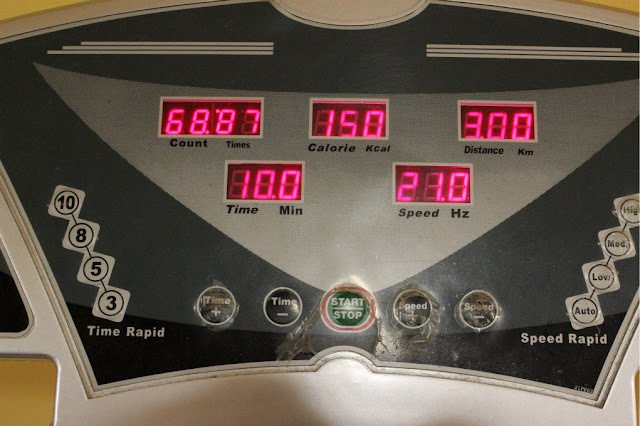 I noticed my mid riff was more toned after a couple of sessions and every time I stepped off the machine my thighs tingle which is a result of the increased circulation. I know this is beneficial in combating cellulite. It claims to help you lose weight and tone up but honestly I think you need to make an effort in every aspect to see real results, so this includes doing more exercise and making healthy food choices. I will keep up updated in my progress. Have any of you girls tried power plates? Do you feel they are beneficial? my husband and i have been thinking about building a gym at home - this looks really helpful! I used this for a joint injury and although it was very weird at first, I think it actually helped! I've never heard of power pilates or seen this machine but it looks intersting!